This unique quilt will get your creative juices flowing. Position the blocks as shown, or twist and turn to create your own design. Quilt measures 48" square. Around The Quilt Branch we USE our quilts. 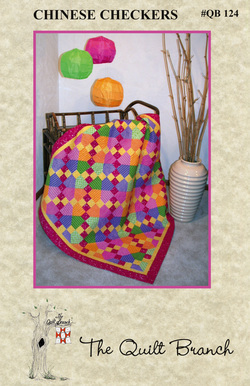 As a square quilt, Chinese Checkers is great for babies and kids to use as a play quilt on the floor.